Imagine walking down cobblestone roads, exploring the hidden corners, observing the vivid colors of the streets, following the aromas of freshly ground coffee wafting from the cutest little café around the corner from St. Peters Basilica. This is the heart and soul of Rome, where around every corner lurks a new discovery of art, literature and beauty. 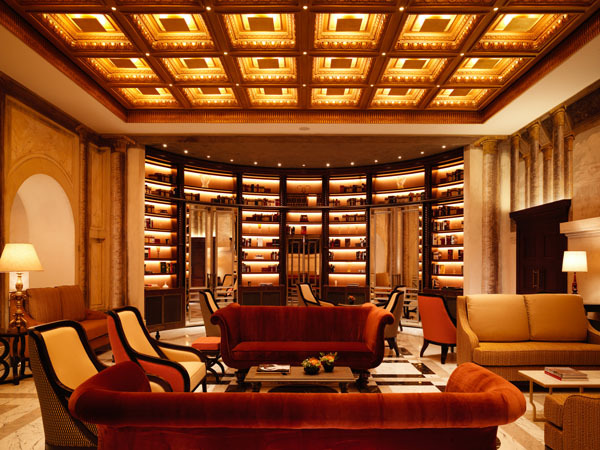 Dorchester Collection is notorious for producing luxury accommodations, and Hotel Eden is no exception. 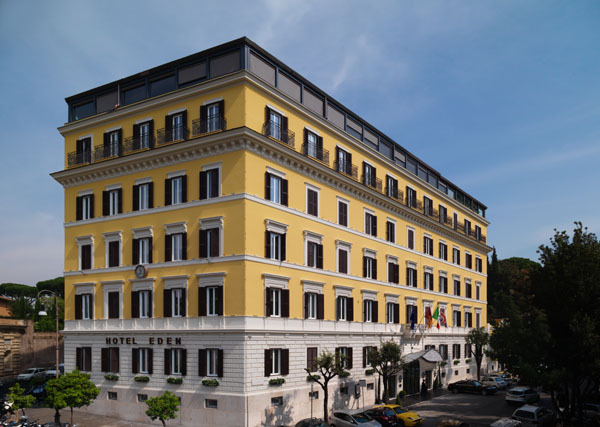 With a rich heritage and prominent location in the heart of Rome, the hotel is bounding with full classic Italian style to give guests an authentic Italian stay. Following a 17 month restoration, Hotel Eden reduced its room count from 121 to 98 guest rooms to create larger and luxuriously appointed accomodations. Guests will find themselves immersed in the design of Bruno Moinard, who blends contemporary features with the charm and authentic Roman style of the property, displaying fine fabrics, beautiful artwork and authentic fittings. 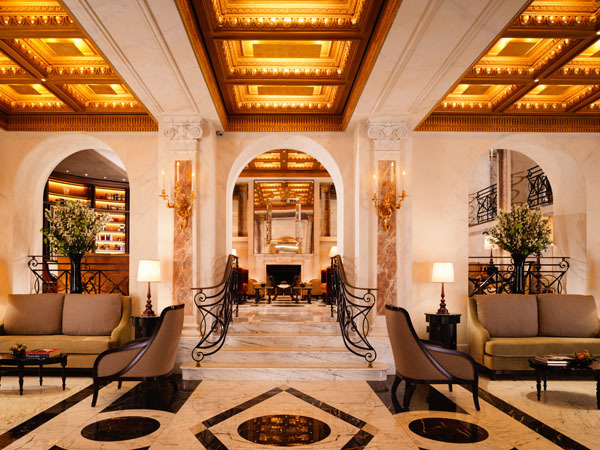 Sophistication and elegance seeps through the furnishings, walls and exterior of the hotel, providing guests with bright and airy spaces with high ceilings and breath taking city views. The sleek new bathrooms are decorated in white and gold, for a touch of royalty, and feature mosaics, marble vanities, walk-in-rain showers, a separate bath and Italian Bottega Veneta toiletries. Equipped with modern luxuries such as master controlled lighting and climate control, Wi-Fi, Bang and olufsen televisions and sound systems with blutooth connectivity, this hotel blends the old with the new to create a comfortable and convenient stay for guests. 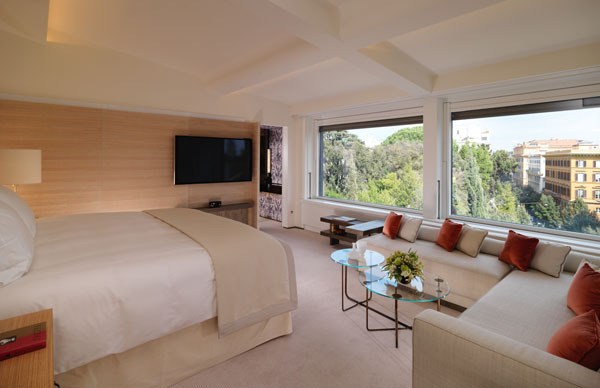 La Terrazza is the jewel in Hotel Eden’s crown, offering guests mesmerizing views over Rome alongside creative and innovative seasonal Mediterranean dining. Only high quality, fresh ingredients are used and presented with an original and modern flair—as the Italians do. 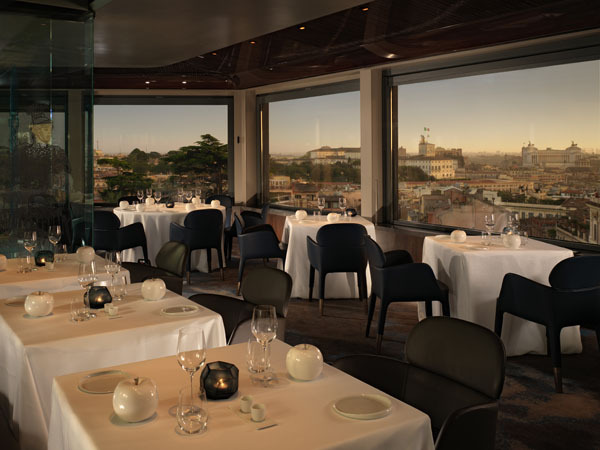 The Michelin starred executive chef Fabio Ciervo, oversees the cuisine at La Terrazza to produce a unique and traditional taste of Italy. La Libreria is the ideal place to relax, have a meeting or indulge in crafty drinks in a warm, tranquil and sophisticated environment. Offering authentic Italian breakfast in the morning and an array of enticing food in the afternoon. Rome is a beautiful city, lathered in history, charming architecture and is the perfect backdrop for II Giardino, the secret garden located in Hotel Eden. Here guests can revel in delicious foods and drinks, while sitting in the open terrace, complete with a vegetation inspired installation wall, while watching the sun turn into the moon over Rome’s majestical skyline. It is the perfect place for some afternoon down time after roaming the streets. 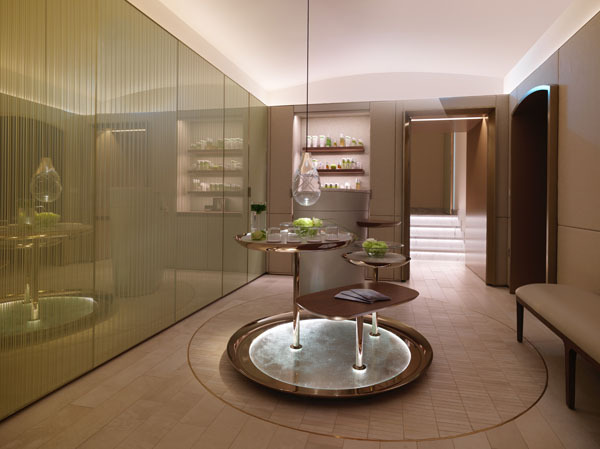 Hotel Eden introduced its first ever spa featuring three suites and a blow dry bar, as well as a mani/pedi suite with a range of holistic wellness experiences and therapies by Farmaceutica di Santa Maria Novella. Upon entering visitors are guided in by the soft, fresh and light atmosphere, with vaulted ceilings to honor the typical roman architecture. With a touch of luxury and elegance, visitors will be treated to massages, manicure and pedicures, facials and other special spa treatments on offer. 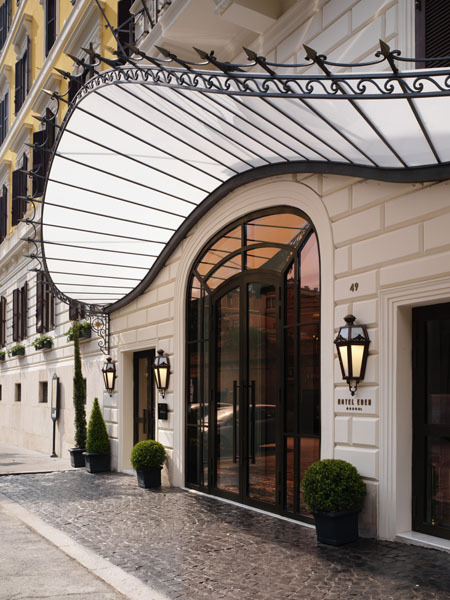 Hotel Eden is Rome’s newest gem in her long standing crown, offering opulent architecture, luxurious amenities and exquisite services for guests who seek a true Italian experience in Rome. This hotel is guaranteed to enchant those who grace her with their presence offering an experience never to be forgotten.